We’re wrapping up this SEO Series with YOUR SEO FAQ (Frequently Asked Questions). Before we dive in “FAQ Style” let’s give you a little recap. Here are the topics in case you want to reference this for your SEO future. Many of these episodes answer common SEO FAQ. Instead of doing a sort of quasi transcription I’m going to set up these SEO FAQs in a better format for you. The quintessential SEO FAQ: What Is SEO? The answer: Search Engine Optimization. What Does Doing SEO Mean? 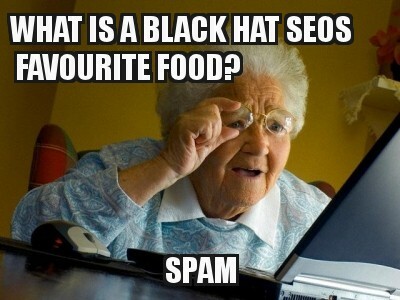 A very common SEO FAQ, if you were to search the internet. The best way to answer this question is how I approach search optimization for a web site. First, I’m going to look at the site structure which is that one episode we talked about, then I’m going to ask “is it covering the topics we need to to generate leads?” I also look at the competition in that same space. It’s not just sort of putting keywords on a page but also understanding the overall strategy of a website. Once I’ve gotten the strategy down then we do some sort of basic SEO’s stuff. We run an audit on it. We look for things that are poorly structured or broken. In fact, we did an episode on this. We look a lot at the technical on-page SEO things as well as structure related things. From there we begin to look at individual pages starting with what is working already. We look at title tags and meta descriptions a lot so that we can help increase the clickthrough rate. 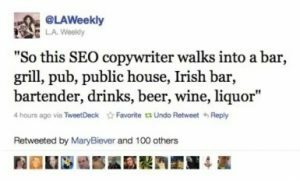 In fact, that was actually how this whole series of SEO came about. The key is that the approach to SEO is more than just one aspect, it’s an overall strategy. It works because of how Google does what it does. I’m trying to understand what the Google algorithm does and really, no one understands it completely. Basically, Google is crawling pages and looking for things. Google smart enough to read the words around the link understands that there’s a context to this to this page into this content. So it understands to some extent the topic of the content and then it also has the queries which people are typing in. It matches those two together. 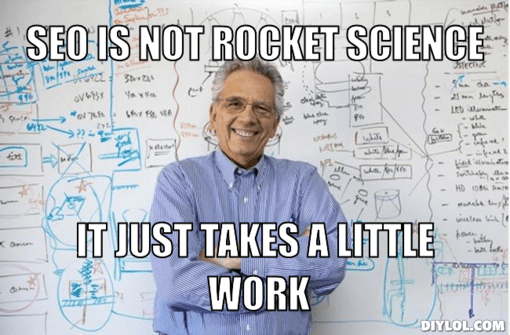 That’s how SEO Works. You create a page that Google likes to see and people like to read. Most of what I see on SEO is all gray. However, I’d define it as “anything you’re doing, by Google’s definition, to manipulate the search results” is considered black hat. The reason there are SEO people is to help optimize the content to be found. I think you can slide into Black Hat when you cut corners or do “spammy” type of tactics, like stuffing keywords. If you want to know if you’re doing something black hat – let someone READ what you did. Does it help humans? Then it’s likely fine. If I Have Yoast, Do I Need To Know SEO? The plug-in in and of itself isn’t going to help you do anything. Well, actually it does do a few things for you. It creates a sitemap and a few other minor things. Yoast gets recommended because it makes it easier to optimize the content and check it against known “standards.” Now it’s all going to be about your content and if you remember our keyword episode last week you could take those keywords you could put The other thing that’s really powerful though a lot of people don’t use is the link counter that it has and it can show you how many links are going to each post and how many links are coming out of each post. How Do I Generate Traffic With SEO? This was covered in a few episodes. Link Building is one of them. Anything that you can do to generate links that’s going to help you rank, and in theory that’s going to help you get more traffic. I think there’s also some social media strategies that you could use. It’s going to be a topic that we’re going to cover in just a few weeks. Ultimately though it’s going to be all about creating things that people want to share and people want to read. This is a very common SEO FAQ, Local SEO is referring to the map search. If you have a physical location this is where you can really get a low hanging fruit that’s available through the map search. The map search is basically “Keyword + Area”. For example, “real estate agents in Atlanta” or “plumbers near me.” Some people call it map based search. Some people call it Google my business because that’s actually where you put your business there. How Does Local SEO Work? There’s another episode on this. Basically, when you register your business with Google it registers your name, your address, and your phone number, as well as your Web site. Once you’ve registered that at Google my business it becomes basically like a link or call it a citation or you can call it a NAP. In order to rank for that it has a bunch of different factors just like a piece of content a page of content has a bunch of different factors that page needs to have. For it to rank on the map you need to have a citation which you can get by going to directories. You also want to get reviews. Google is probably the most important because it’s where most people search that’s where they search first (and it’s where they see the map). After reviews, it’s all about the extra stuff like your content such as photos. The last thing is to make sure your landing page or your website that you’re using in your citation matches up with your keyword. For example, if you were using “real estate agent in Ann Arbor” then you’d want to make sure your page was about Ann Arbor real estate. I think there’s an excellent question (another common SEO FAQ). The reality of the answer is likely closer to 3 to 6 months. That’s not to say you couldn’t see the result sooner. I have one client that you know he’s seeing amazing results in 30 days. But that is not typical. I’ve got another client and we’re going on for six months and she’s not saying anything yet. 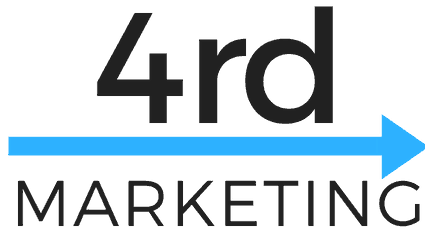 We see traffic we see rankings but we don’t see leads yet. It’s a constant process to diagnose. There are so many factors that can go into how long it could take. I think if you hired a professional you’re probably looking at anywhere that three to six month range. I think if you spend a lot of money you probably could speed that up just because the level of content that you’d get the number of links that you’d get are going to be faster. If you were doing it on your own, I’d say nine to 12 months. In fact some of the professional bloggers out there you know definitely two to three years before they started to see any sort of real income coming from their efforts. 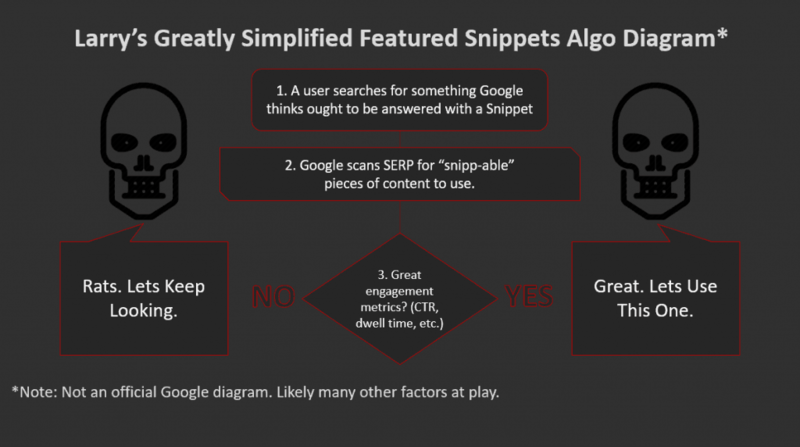 How Do You Get A Featured Snippet? 19 percent of all searches are questions, this why we made an SEO FAQ episode! A feature snippet is basically an answer to a question. You could create a question post and then answer the questions sort of concisely in a sort of paragraph format with a header and then and then expand on that question. (Very similar to this page) One of the best places to go to see the kind of questions that you might want to answer is called answer the public. If you’re trying to go after feature snippets, you can also use a tool like semrush to see if the questions that you’re asking are worth targeting and do they have a feature snippet that’s available. If there’s not enough search volume then Google’s not going to create the features. One thing to keep in mind is that when you’re answering the question you’ve got to answer this specific question you’ve got to be concise but don’t answer so much that they don’t want to click on the result. So an example one I read was like how old is Donald Trump. They display the answer there so there’s no need to click. That’s the key to understanding the feature snippet. Other than that, there’s no special trick to getting a featured snippet. You’ve just got to have the right content with answering a question for that. No. 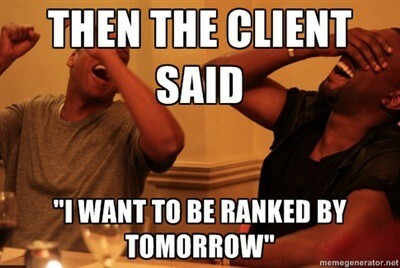 As long as there are search engines there will always be people who want to optimize the content to rank number one. 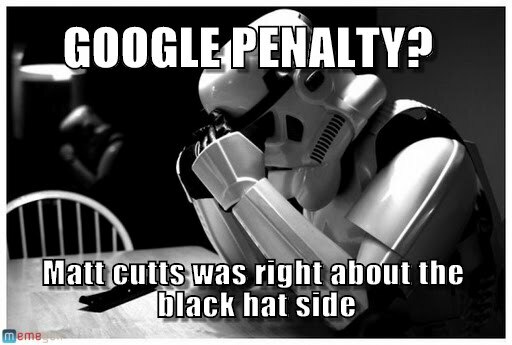 Rounding out the SEO FAQ. Where To Start Learning SEO? Hopefully, this podcast is helping. Check out Moz.com and Backlinko as well. If you really want to go in depth, check out our for Real Estate Agents Course.